The man of many stints, Mark Recchi had 10 of them over the course of his lengthy 22 year career. After entering the league in the 1988-89 season, Recchi scored just one goal and two points in 15 games. However the next year saw Mark score 67 in 74. In his second full season (1990-91), he helped the Penguins out of the Patrick Division basement and win their division and the Stanley Cup (first of back-to-back Cups Pittsburgh would win). He would score team-tying 40 goals and team-leading 113 points in the regular season and added 34 points in 24 playoff games that season. Not bad for his first post-season appearance. He would surpass the 100 point plateau three times en route to his career 1,533 point total. His best regular season would come in 1992-93. His 123 points would become a new Flyer’s record, as Bobby Clarke’s record was broken. Recchi was very dangerous on the power play throughout his career, twice scoring as many power play goals as even strength goals. He lit the lamp 200 times, which accounts for 35% of his career goal total of 577. After landing in Montreal, Philadelphia again and Pittsburgh again, he would be traded to the Carolina Hurricanes toward the end of the 2005-06 season. After playing just 20 games with the Canes, he would go on to win his second Cup at age 37. Recchi remarkably finished his career at age 42 in 2010-11, immediately after winning his third Stanley Cup, and with a final plus/minus of +0. After 1,652 games, landing at 0 is a pretty incredible feat. He now sits 12th all-time in assists and points. It is very likely that he will be voted into the Hall of Fame. He will be eligible for induction next year. The man so good that he was voted to the First AND Second All-Star Teams in 2013, Alex Ovechkin is one of the best players hockey has seen in a long time. He’s played just eight seasons in the NHL and is already nearing the 400 goal club. He has led the league in goals three times. 2007-08 saw him score 65 goals and 112 points. He has hit the 50 goal plateau four times. ‘Ovie’ is definitely no stranger to shooting the puck. He has led the NHL in shots seven times in his eight seasons. He has amassed 3000 shots (3049 to be exact), with his highest total being 528 in 2008-09. He sits at 81st all-time already in career shots on net. Ovechkin brought new life to a Washington Capitals team that had been struggling for a long time. After finishing dead last in the Southeast Division in 2006 and 2007 , he helped them win the division in 2008. He is one of the most dangerous offensive players the game has ever seen. When he’s on his game (which is most of the time) he’s dominant. He’s currently in the prime of his career and shows no signs of slowing down. To this point, Ovie has not experienced any team success in the post-season, but he has a massive collection of personal hardware. In 2005-06, he beat out fellow superstar rookie Sidney Crosby to win the Calder Trophy. The very next season he won the Art Ross, the Hart, the Rocket Richard, and the Lester Pearson (now the Ted Lindsay). He would go on to win two more Harts, two more Rocket Richards and two more Ted Lindsays in the next six seasons. He is a perennial All-Star, being named to the All-Star Team an average of once per year, despite not being selected in 2012. After playing in just four games as a left winger (before being switched to right by coach Adam Oates), 41 votes went to left-wing Ovie, even after being told the PHWA would consider him a right winger to clear up any confusion. Even when he missed a year on the All-Star team, he was apparently good enough to make up for that. Ovechkin became the second player to be named a First Team All-Star at multiple position (the other was Mark Messier) and the first to accomplish such a task in a single season. Alex will be turning 28 right before the start of next season and still has a lot of hockey to play in his career. 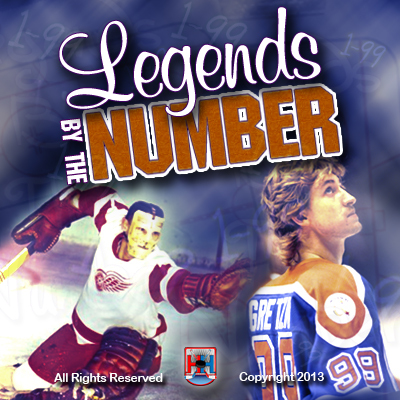 Teemu Selanne is currently just 25 goals from joining the elite 700 Goal Club. He’s one of the highest scoring players of all-time and one of the best European players to ever lace up a pair of skates. What more can you say about Teemu? The 700 goal plateau is likely what he’s aiming for if he does in fact return for the 2013-14 season. He’s already accomplished everything most players set out to achieve. When Selanne entered the league in the 1992-93 season, he set a record that still stands today. He scored 76 goals as a rookie, more than any rookie in history. In one year he matched Phil Esposito’s highest single season goal total. He also tied Alex Mogilny for the league lead in goals, making him just the second European player to lead the league in goals (the other was Edmonton’s Jari Kurri). Talk about high expectations right from the get-go. The very next season he tore his Achilles tendon and missed almost half the season. He still scored 54 points in 51 games though. He also scored a point-per-game in the lockout shortened 1994-95 season. He was traded mid-season to the Mighty Ducks of Anaheim after having already scored 72 points in 51 games as a Jet that year. As a Mighty Duck he would hit the century mark twice in his first three full seasons. Two of those years he also led the league in goals. The latter of those two seasons he also led in power play goals when he scored three more with the man-advantage than he did at even strength (25-22). Anaheim would trade Teemu to the San Jose Sharks mid-season in 2001. He would not put up Selanne-like numbers however, until his return to Anaheim in 2005. In between San Jose and Anaheim he took a detour through Colorado (let’s just pretend that stint didn’t happen), who acquired him in free agency in 2003. Anaheim was happy to have him back, and he has been a Duck ever since (just not so mighty anymore). His first year back in Orange County saw his points total jump from 32 to 90. His best season as a normal Duck came in 2006-07, when he scored 48 goals and 94 points. He once again scored more power play goals than even strength goals (25-23), leading the league in power play notches. That season also marked the first and only time Selanne made it to the Stanley Cup Finals. He scored 15 points in 21 post-season games, helping Anaheim win the Cup in franchise history. Fast forward to last season. At age 42 he still managed to score 12 goals and 24 points in 46 games. Whenever he decides to call it a career, he will certainly be a first-ballot Hall of Famer in his first year of eligibility.